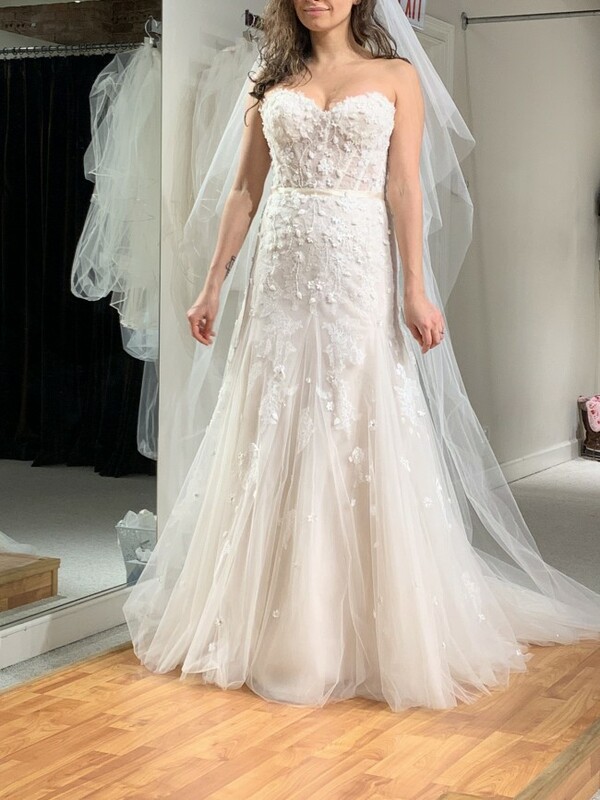 NEW “Say Yes to the Dress” designer Randy Fenoli wedding dress. This is a gorgeous dress that has never been worn except to try on. It has not been altered and is in excellent condition. I bought this dress for my wedding but ultimately found another one. It was hard to do because this dress is fit for a princess. Once you send a message, Yolie can invite you to purchase the dress.